In a rush to catch that plane? 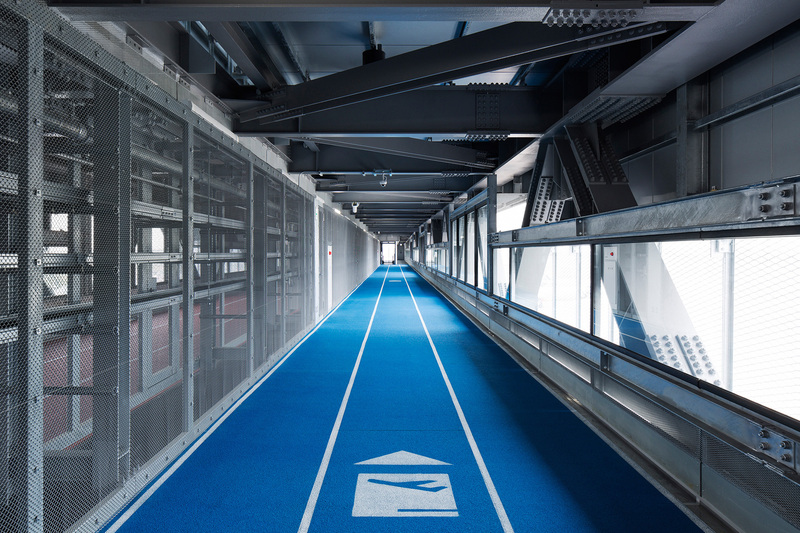 Tokyo's Narita International Airport has built a new terminal with walkways outfitted in the style of indoor running tracks—a fitting precursor to the 2020 Olympic Games, which the city is hosting (even if it's a bit premature, as the 2016 Games haven't even happened yet). 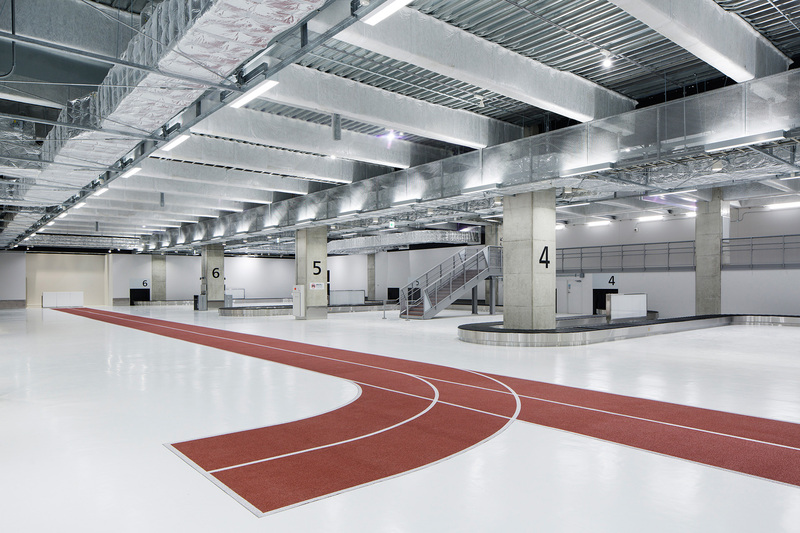 The terminal's foot traffic lanes are color-coded and use stenciled symbols to represent various airport destinations. 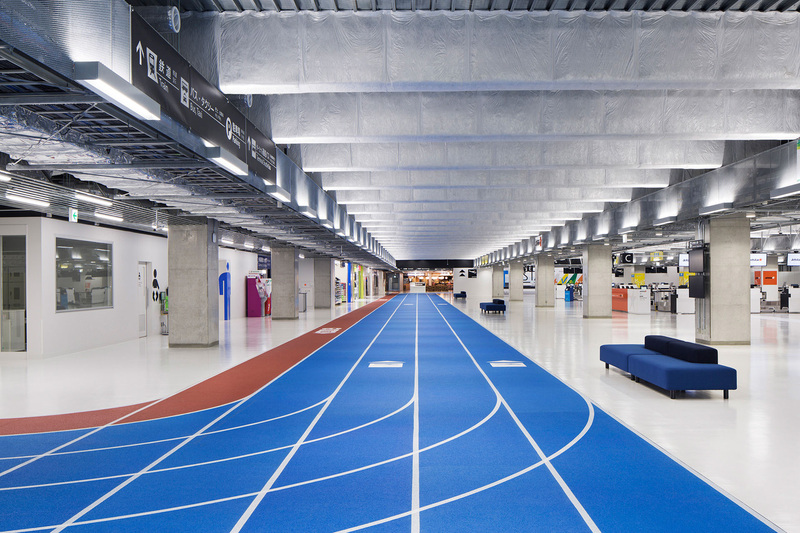 The design—for which Japanese agency Party can be thanked—is also a side effect of the project's low budget (there are no moving walkways), and the flights operating from the terminal are mostly low-cost carriers. As a whole, the theme provides some fun (if unintentional) commentary about the rush of modern air travel. And so as long as people can figure out the stencils/lane color pairings, it's a success on a couple of fronts. If they don't, they'll get a head start on being aggressively inconvenienced by the time the Olympics show up to wreck their city for months on end.